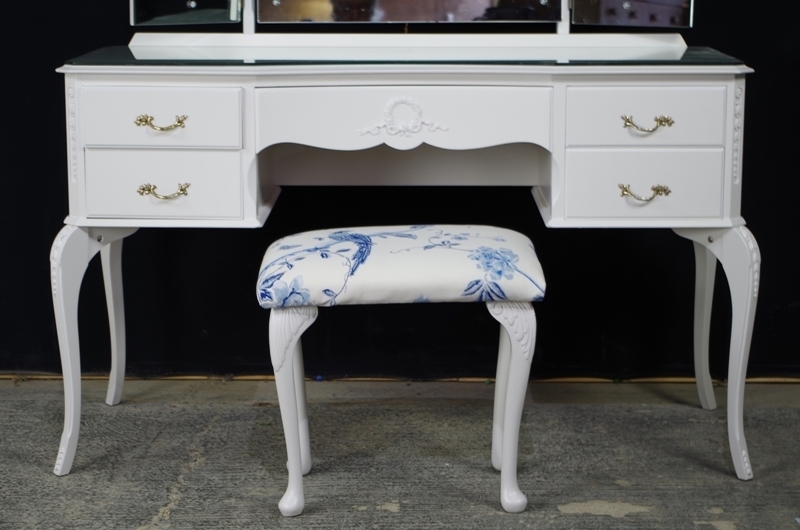 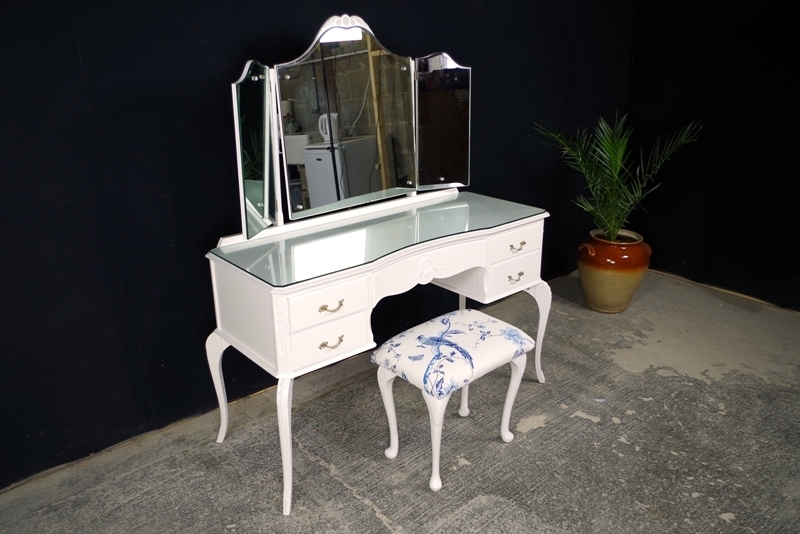 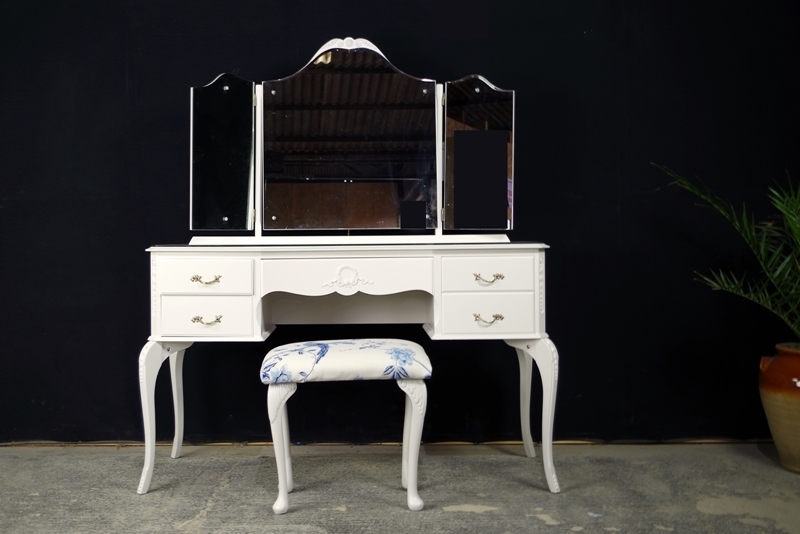 A vintage French style dressing table with 5 drawers, triple curved top mirror set and a stool. 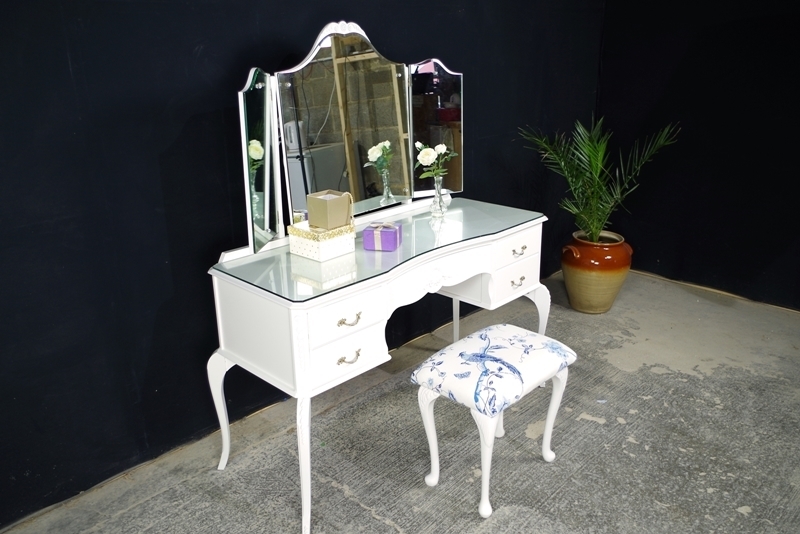 The table stands on four elegant cabriole legs and has carved detailing. 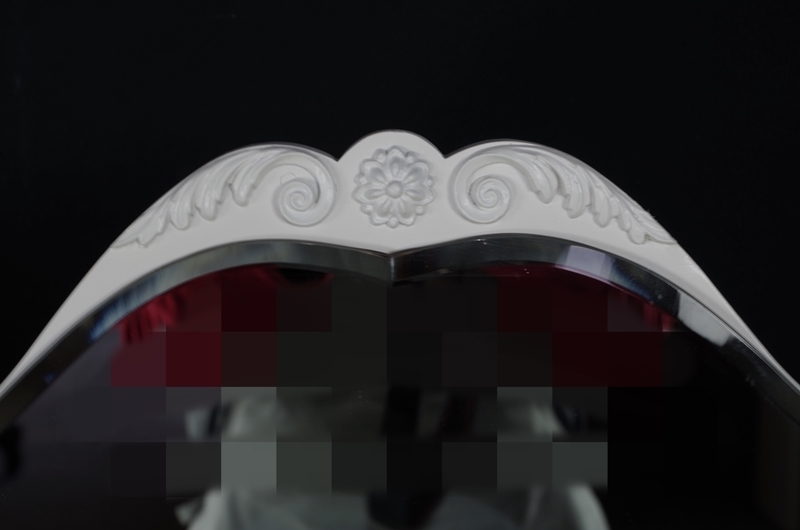 A shaped glass top is also included. 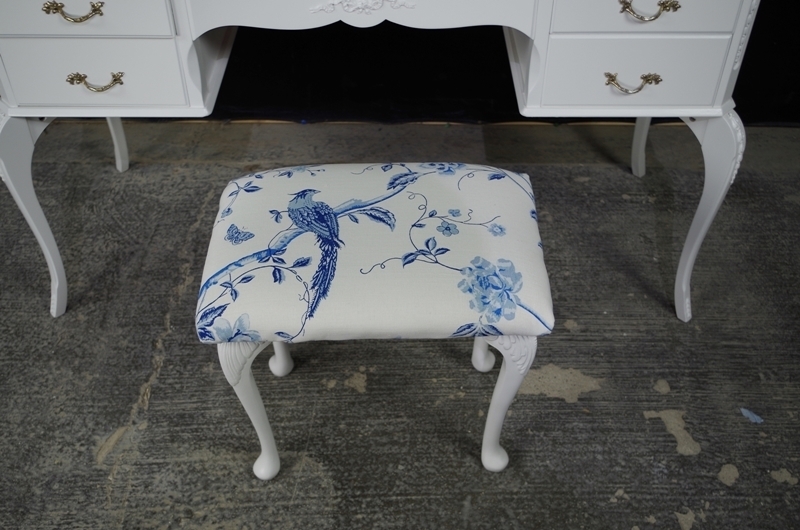 We reupholstered the stool seat pad in Laura Ashley" Summer Palace" fabric, this has been stainguard protected. 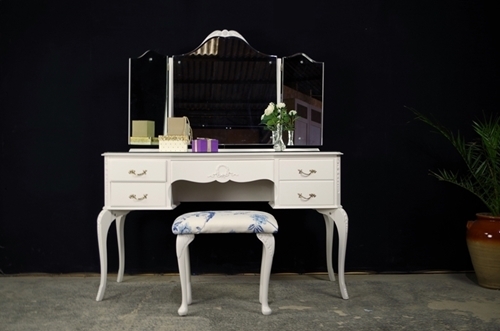 Please contact us if you would like a colour sample.